The lead capture form has become one of the most ubiquitous tools in a marketer’s toolbelt. 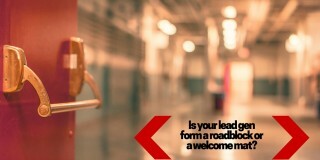 For a decade now, it has been the mechanism that makes inbound marketing and lead generation possible. 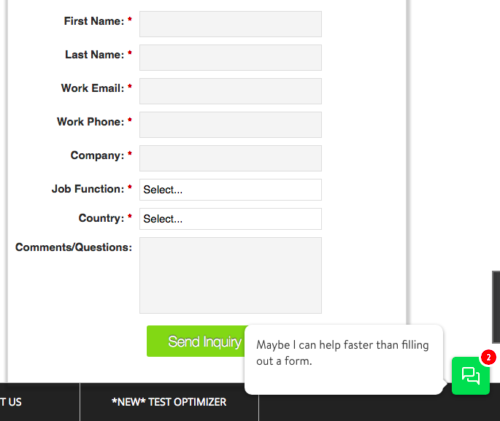 As a result, many marketers have become obsessed with optimizing forms. It has always seemed like a given that if your conversion rate is slumping, you could fix it by making some adjustments to your forms (e.g. reducing the number of fields). And while making incremental changes to your forms can boost conversion rates in the short-term, what happens when there’s a fundamental shift in the way people prefer to buy? What happens when evolving customer preferences for certain technologies make lead capture forms obsolete? Lead capture forms made sense in an era when phone and email were the dominant communication channels. Back then, if you wanted to learn more about a product, submitting some contact info and waiting for a follow-up email or phone call seemed reasonable…because those were the only options available. True, some companies experimented with social media as a sales channel as well. But for the most part, if you wanted to talk to a sales rep, you were filling out a form and then waiting for a phone call or an email. Flash forward to today, and the rise of messaging has disrupted that old communication paradigm. More and more of us are now using messaging apps like Facebook Messenger (1.2 billion monthly active users) for communicating with friends and family, and messaging-based workspaces like Slack (4 million daily users/1.25 million paying users) for communicating with coworkers. And that same change is affecting how people want to buy and communicate with businesses. Let’s be clear: Messaging isn’t some new, hot trend or magical technology. It’s been around since the mid-1990s. The first wave of messaging software arrived with ICQ (launched in 1996), followed by AIM (1997), Yahoo! Messenger (1998), and MSN/Windows Live Messenger (1999). Then came the second wave with Skype (2003), Blackberry Messenger (2005), and Google’s first incarnation of its messaging app, Google Talk (2005). Then came the third wave, which included WhatsApp (2010), KakaoTalk (2010), Viber (2010), WeChat (2011), LINE (2011), and Facebook Messenger (2011). Unlike its predecessors, this latest wave has led to a mass adoption of messaging as an everyday communication technology, with billions of people around the world now using it. And according to a 2016 study from Twilio that looked at 6,000 consumers around the globe, the average consumer now has 3 different messaging apps on their phone’s home screen, and sends an average of 3 messages each hour. That same study found that 3 out of 10 consumers would be fine giving up phone calls altogether if they could use messaging instead. But phone calls aren’t the only traditional communication channel that messaging has set its sights on. 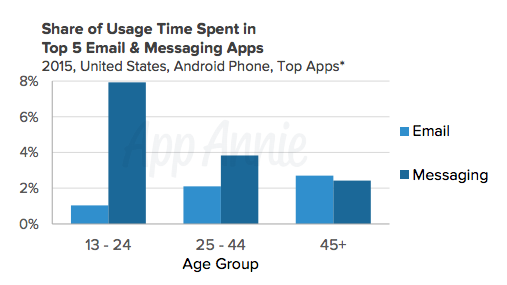 According to a 2016 report published by App Annie, Android users aged 25 to 44 now spend nearly twice as much time using messaging apps than email apps. For Android users aged 13 to 24, that figure jumps to approximately 8x as much time spent in messaging apps vs. email apps. 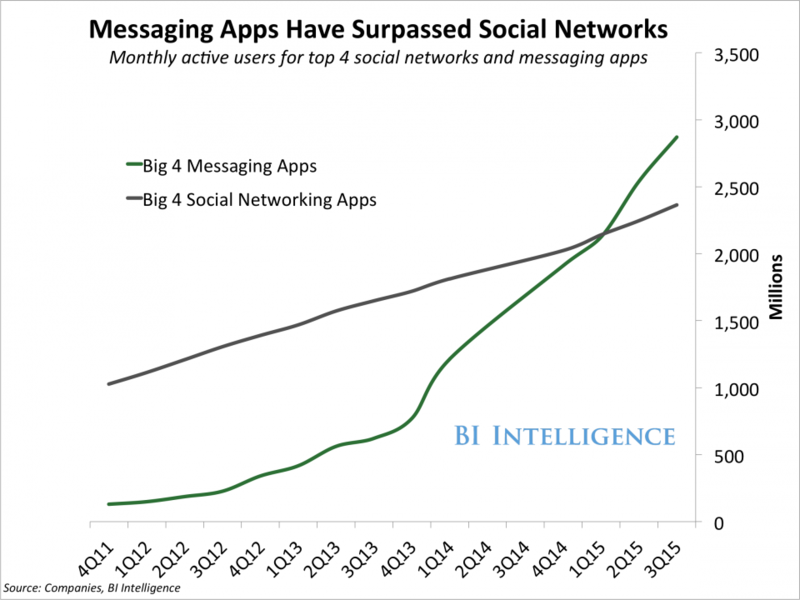 In September of 2016, Business Insider reported that messaging apps had surpassed social networks in monthly active users (MAUs). At the time, the top four messaging apps had nearly 3 billion MAUs, compared to approximately 2.5 billion MAUs for the top four social networks. Of course, adoption alone isn’t what makes messaging a promising tool for marketing and sales teams. 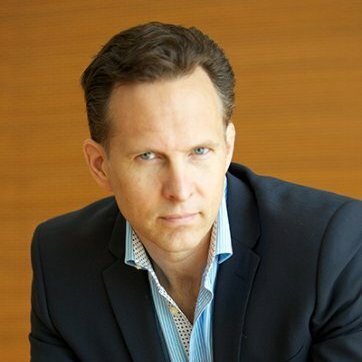 The exciting part is that people are now beginning to prefer messaging as a channel for communicating with brands and businesses. According to the 2016 Twilio study I mentioned above, 9 out of 10 consumers now want to be able to use messaging to communicate with brands. A year earlier, a 2015 survey of 2,000 consumers conducted by eDigitalResearch found that 37% of consumers expected to be able to communicate with brands via live chat (a.k.a. web chat, or a real-time messaging tool that can be accessed via your website and/or in-app). That was up from 30% in 2014. The eDigitalResearch survey also revealed that live chat had the highest customer satisfaction rating of any customer support channel (including phone, email, and social), with 73% of respondents rating their satisfaction with live chat as “high,” and 67% reporting that they found it easy to use. For comparison, just 45% of respondents gave phone a high satisfaction rating, and only 26% found that it was easy to use as a support channel. Granted, that’s support, not marketing and sales. But the takeaway is that messaging is making major inroads as a channel for business-to-customer communication, while more traditional channels are losing favor. By opening up messaging as a channel on your website, you’re letting customers and potential customers know that you understand how they prefer to communicate. In addition, you’re creating a “second net” that can capture leads your forms can’t. He wanted to get rid of all of the lead capture forms on the Drift website. And while our director of marketing was initially hesitant (and for good reason, considering he’s responsible for supplying our sales team with leads), he eventually came around to our CEO’s way of thinking. Our CEO’s argument was that marketing had lost its way a little bit. We had become so obsessed with gaming the system and “get rich quick” schemes that we had forgotten about the actual experiences we were delivering to our potential customers. And when you think about having to fill out a lead capture form (which have, on average, 11 form fields), and then having to wait for a follow-up email or phone call just so you can simply talk to somebody, it doesn’t take much stretching of the imagination to see how terrible of an experience that is. Instead of engaging with people in real-time, while they’re live on our websites (just like an in-store salesperson would engage with someone who had just walked in), we’ve been passively serving up lead capture forms. Fill out this form, and wait. And in some cases, potential customers can end up waiting hours, days, or weeks before hearing back, if they even hear back at all. Case in point: Earlier this year, we ran a secret shopper-style survey where we filled out lead capture forms and made sales inquires on 433 B2B websites. 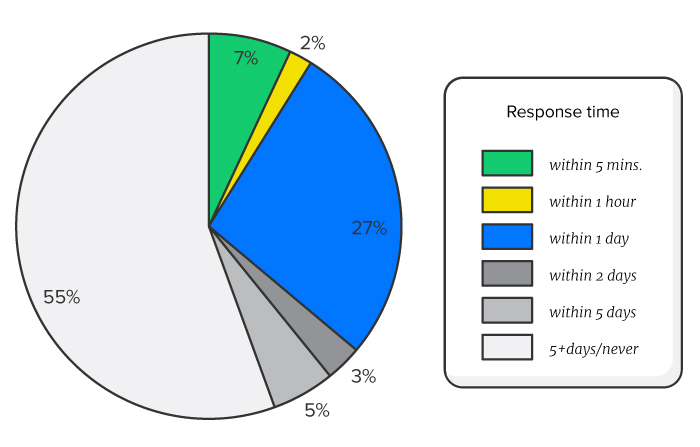 One of the most eye-opening results: 55% of sales teams took five or more days to respond or never responded. It’s not just the less-than-stellar user experience that’s making lead capture forms less desirable these days. 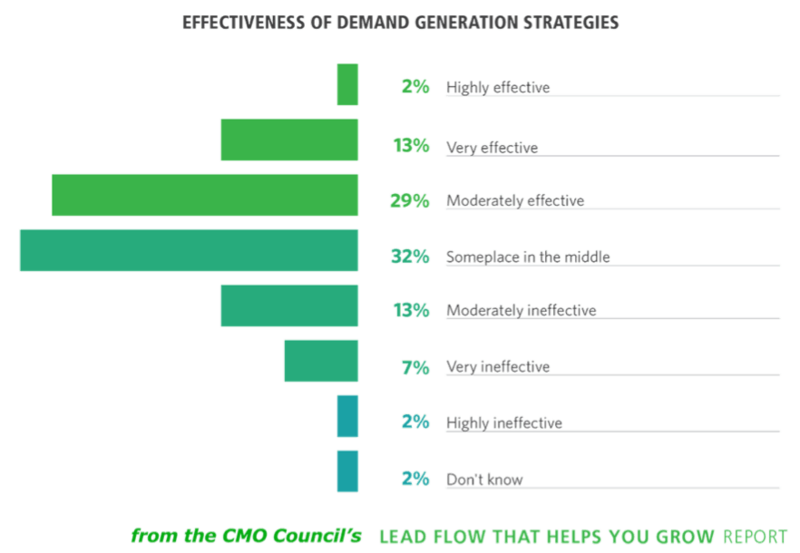 Based on recent industry benchmarks, it doesn’t seem like the form-based approach to lead generation is working all that well. For example, WordStream recently ran a study that looked at thousands of AdWords accounts that had a combined annual spend of $3 billion. 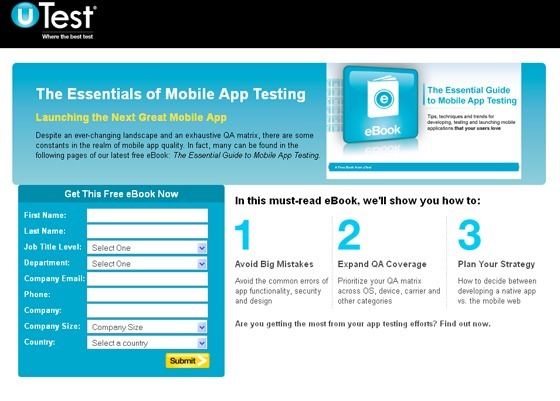 They found that the average landing page conversion rate, across all industries, was 2.35%. Another recent study, this one from Unbounce, calculated median conversion rates across ten industries based on the behavior of nearly 75 million visitors to 64 thousand landing pages. The median conversion rates ranged from 2.6% on the low end (industry: higher education) to 6.0% on the high end (industry: vocational studies & job training). Anecdotally, it seems like there’s a lot of room for improvement. But as you likely already know, conversion rates are highly contextual, and ultimately aren’t the best tool for evaluating growth. So instead of continuing to focus on how high or low conversion rates have been, let’s turn now to how satisfied marketing and sales teams have been with the conversion rates and growth they’ve been experiencing under a forms-based system. According to Econsultancy and RedEye’s 2016 Conversion Rate Optimization Report, which was based on a survey of 900 marketers and optimization professionals, 41% of respondents were either “quite dissatisfied” or “very dissatisfied” with their conversion rates. Thirty-four percent of respondents fell into the “neither satisfied nor dissatisfied” category, while only the remaining quarter had a positive view of their conversion rates. 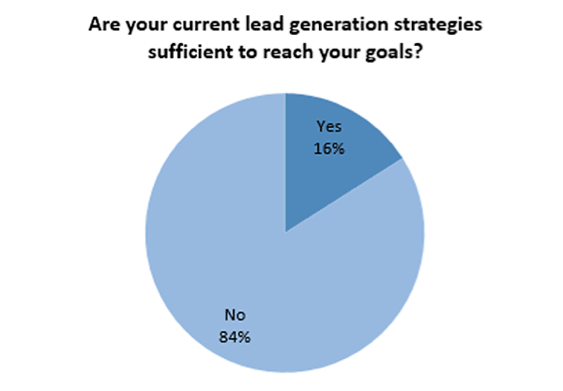 Meanwhile, a 2016 survey of 1,306 entrepreneurs conducted by LinkedSelling found that 84% of respondents felt they had insufficient strategies in place for achieving their lead generation goals. Another 4% reported that their lead generation efforts weren’t effective at all. 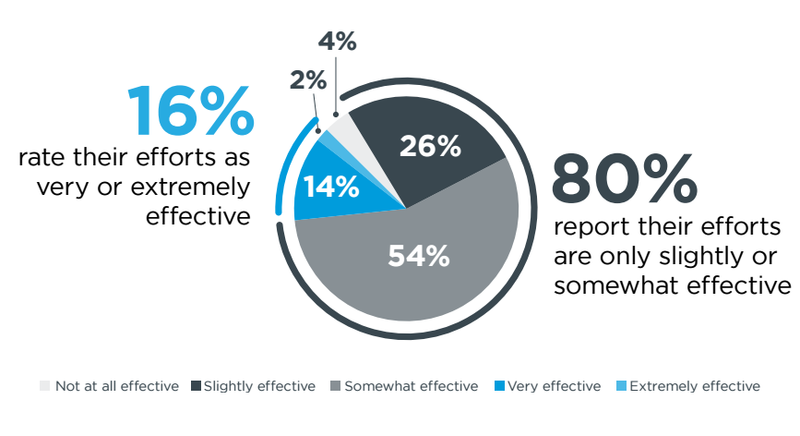 Finally, a 2015 survey of 213 senior marketing leaders conducted by the CMO Council found that just 15% of respondents felt they had a “highly effective” or “very effective” strategy in place for delivering leads. With so many marketers dissatisfied with their conversion rates and lead generation efforts, it begs the question: What have they been doing about it? As I mentioned earlier, the traditional approach to dealing with lackluster lead performance has been to make small, incremental changes to forms and landing pages. And while these changes can help move the needle in the short-term, they fail to acknowledge the massive shift in communication (re: the rise of messaging). 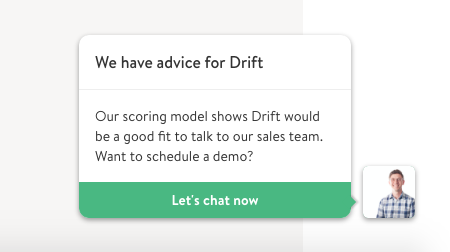 After we pulled all of our lead capture forms down from the Drift website, we doubled-down on using messaging, specifically live chat, as our primary lead gen channel. With live chat, you (or a bot — more on that later) are able to ask for an email address during the course of a conversation. And as soon as an email address is entered, the app can automatically store it and search the web for relevant info that’s linked to that email address (e.g. first name and last name, photo, twitter handle, etc.). That info can then get surfaced in your conversation window so you have more insight into who you’re chatting with. Even before someone enters an email address, some live chat solutions are able to use the IP addresses of anonymous visitors surface info like geographic location, what web browser and operating system someone’s using, and even what company someone works at. “Leads that come in through chat tend to have a higher velocity. 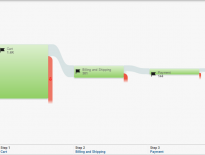 So you’re able to solve the problem or meet the needs of the request in real-time. So you think in terms of somebody coming to a website, and having a question, and filling in a contact us form. And they’ll hear back in 24 hours, or two days … that problem might not be there anymore. During that same interview, Chris explained that when his team had only relied on forms for lead generation, they had been converting around 6% of their web traffic. After three months of using live chat, Chris noticed the average conversion rate of visitors who were seeing the chat widget had grown to 10%. “We started to see the promise of what we were trying to do, which was to create more out of our base,” he told us. After six months, that conversion rate had grown to 20%. Instead of removing lead capture forms from their website like we did at Drift, the Perfecto Mobile team simply added live chat to their site as a “second net.” They opened up a new channel for leads to flow through, but otherwise left everything else the same. As a result, they were able to catch leads their forms were missing. A common concern that arises when it comes to using messaging for sales and marketing is scale. 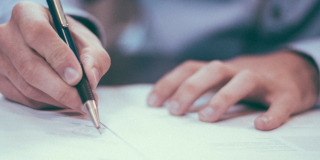 After all, lead generation is just one side of the equations – operationally, sales and support have costs and time investments as well, which is why lead capture forms scale well. Qualification is easy with the right system set up. With lead capture forms, time isn’t of the essence. Since everything’s getting dumped into a spreadsheet for later, the process isn’t very hard to scale. With live chat, however, suddenly you’re chatting with leads in real-time. So what happens when you have an influx of conversations? What happens when you’re offline and conversations come in? And how do you shield your sales reps from having unproductive conversations with people who are never going to become customers? Fortunately, intelligent chatbots exist that can help make generating (and qualifying) leads via live chat more manageable. For example, at Drift we use a routing bot to make sure incoming chats always get routed to the right department and/or sales rep. First, the bot asks who the person would like to talk to (e.g. sales, support, etc. ), and based on the response, the conversation can get routed to the appropriate chat inbox. By looking at IP address, the bot can also route incoming chats to specific sales reps based on the territories their responsible for. We’ve also integrated a bot with our product’s help desk, which allows the bot to surface links to relevant help docs based on what people are asking. 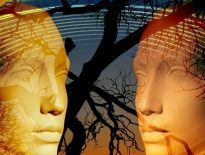 This is especially helpful during times when we don’t have any actual humans online, because customers (and potential customers) are still able to get answers to their questions in real-time. Finally, we also use bots to run targeted messaging campaigns for capturing and qualifying leads. Then we might have the bot say something like, “Hey there! Thanks for checking out our new feature on Product Hunt. Want to schedule demo?” And if someone’s interested, they can enter an email address, look for an open time on one of our rep’s calendars, and book a demo, all inside of the chat window. The bot takes care of sending the invites to both sides. Other companies are experimenting with targeted bot campaigns as well. As a result of setting up that personalized bot campaign, Segment saw a 5x increase in the number of visitors who clicked on the chat widget, and a 2x increase in conversations. Overall, as their VP of Growth Guillaume Cabane told us in a recent case study, live chat is now Segment’s number one source of qualified opportunities, and it’s been their largest contributor to growth year-to-date. Lead capture forms have been powering the lead generation strategies of marketing and sales teams since the 2000s. But times have changed. With the rise of messaging, the traditional approach of forcing people to fill out forms and following up via phone or email is losing favor. In order to optimize for long-term growth, marketing and sales teams need to adapt to changing customer communication preferences. The future of lead generation might not be entirely form-less, but it seems likely that messaging will play a more and more significant role. And thanks to bots, using messaging for lead capture campaigns is not only possible, but scalable. Erik is a brand marketer at Drift, a Boston-based company that’s reinventing marketing and sales software using messaging. A regular contributor to the Drift blog, Erik has spent the past eight years writing and designing content that produces measurable results for brands and businesses. He’s previously worked on the marketing teams at HubSpot and Placester.